I built this timber frame staircase from reclaimed beams that came from another client's house a few miles up the road. The beams use to support a pergola, that was torn down during their remodel. We templated the area where the stairs where going to go and brought it back to the shop and premade them. The install was fairly straightforward as they were already in assembled in sections. All that was left was to put them in place and bolt them in. The through tenons with the wedges were of course, as much of my work. 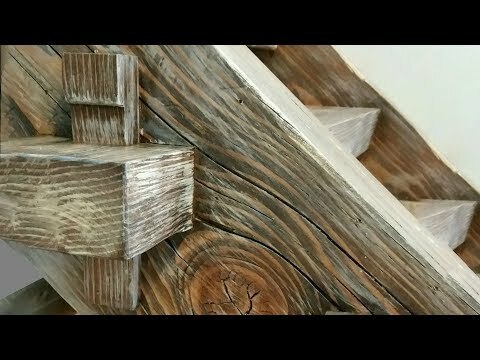 Inspired by traditional Japanese joinery techniques. See more examples of the furniture I make, or commission a custom piece. Find out more about what goes on in and out of my shop. Thank you for supporting the handmade movement and your local artists and craftspeople.